All orders shipped through USPS First Class Mail with insurance and tracking information. We hope these rates will give you one more reason to stock up on Hot Rod Baits this bass season. Time to stock up on baits! Spring is here and it is time to fill those tackle boxes. CLICK on over to our store for the most scented plastic baits out there. 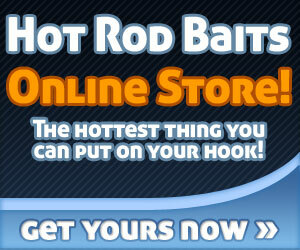 Why choose Hot Rod Baits? In the first week of March, the Super Bowl of bass fishing will take place on Grand Lake in Oklahoma. 55 anglers from all over the world will compete in a 3-day event to crown the 2016 Classic Champion. 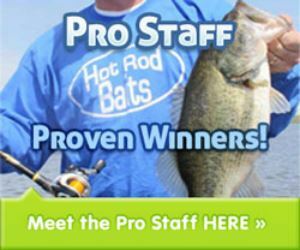 Hot Rod Baits pro-staffer GREG VANCE will be one of those anglers. Greg is a rising star in the sport of bass fishing, he has made the Iowa Bass Nation State team the last 2 years. Vance won the Northern Regional last summer in the Iowa division at Lake Vermillion in Minnesota. He then won the Bass Nation Championship for the Northern Region on the Ouachita River in Monroe, Louisiana to qualify for the Classic. We wish the best of luck to Greg as he continues on to the 2016 Bassmaster Classic. Each contestant will conduct himself in a sportsmanlike manner. Obey all state and federal boating safety laws. Obey all conservation laws. Persons guilty of violations may be expelled from future tournaments and possibly disqualified from this event. Extend courtesy to all people using the tournament waters; including recreational anglers on shore or in a boat. No alcoholic beverages or illegal drugs will be consumed in the boats during the tournament hours. When a person enters the tournament or functions as a boater, he/she is thus stating that they are carrying liability insurance on their craft and all passengers, further protecting the organizers and himself from any liability issues, which may arise. Life vests are encouraged to be worn at all times, however it is not a tournament regulation, all DNR rules apply. Fish may be taken by pole and line method, with use of artificial lures only, trolling for fish will not be allowed. Aerated live-wells are required on all boats. The use of a live well treatment to ease the stress placed on the contained fish during a tournament is a good way to ensure the future of fishing and should be the responsibility of the boater. Any angler/team that breaks any Hot Rod Baits Bass Series or Iowa DNR rule (ticketed) can be disqualified from the event and all further events. It will be the responsibility of each contestant to check in with the Tournament Director at least 20 minutes prior to the scheduled starting time. The Tournament Director will keep the official time and will announce it prior to the start of the contest. Boats will be checked prior to the start of the tournament and marked for all to see. Boats will be started on an "ooze off" basis by the number chosen when entry fee is paid. Contestants must be in the official docking area on time. Late is late, and penalties will occur atone pound per minute late. Minimum length limit will be 15-inches on lakes, and 14-inches on the river, the length of the fish will be measured with the mouth closed. Any short fish weighed in will be released un-weighed and you will be deducted one pound per short bass. Weigh in will be conducted by the tournament committee members. 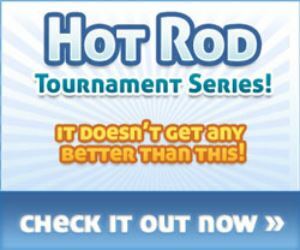 The tournaments will emphasize "DON'T KILL YOUR CATCH". A penalty of one pound will be deducted for each dead fish weighed in. Scoring will be determined by pounds. One pound will be deducted for any fish weighed in dead. Tournament committee members will have official say on measurements. For any under-sized fish, 1 pound will be deducted from the contestant’s total of other legal fish (you may use the board to measure or courtesy check your fish, just ask). Largest bass will be weighed first. The contestant will pick his largest fish. If a tie between places occurs, then the contestant with the largest bass will win the place in question. If a dead heat occurs, monies in question would be split equally between contestants involved. If there should be a tie for Big Bass, the contestant with the highest total weight will win the prize money. Trent Beier and Greg Vance have both qualified for the Bass Nation Regional tournament next spring by finishing 2nd and 5th place respectively overall for the 2015 season. Trent finished 3rd in the spring event and 5th in the fall event. Greg had finishes of 12th and 7th. Both men turned to Hot Rod Baits to bring them the high finishes in these events and others throughout the year. Trent credits both of his top finishes to the Wig's Jig/Hot Rod Baits Jig Chunk combo and the Hot Rod Baits Big Craws. Vance threw the Hot Rod Baits tubes to gather his great finishes this year. 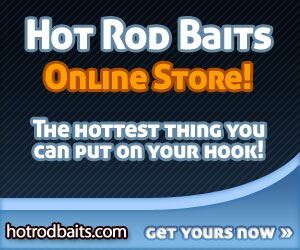 Note: Mike Luenberger, who placed 3rd overall reported using Hot Rod Baits also. 3 anglers using Hot Rod Baits to finish in the top 5 for the State of Iowa!! !